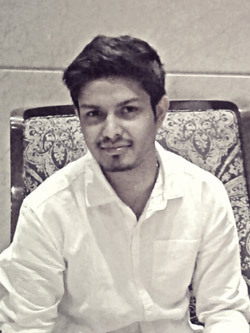 Avisek Sarkar believes in following his instincts and making smart decisions at the right time. That’s why the engineering graduate who was interested in technology decided to switch to management. He says that he wanted to give his career the best platform, which is why he opted for the PGDM with KIAMS. He now stresses that he has managed to combine his technical abilities from engineering studies with analytical, logical thinking from his management program. Perhaps that is what impressed his new employer; Oracle Financial Services Software. The excitement of being placed with a global powerhouse like Oracle is written large over Avisek’s face. He also realizes that his corporate journey has only begun and he will have to prove his mettle. “The role I have been offered is in financial analytical application development. As a member of the software engineering division, I will have to do detailed design based on high level design specifications. I will also have to assist in system planning, scheduling and implementation, testing bugs, building enhancements etc. I feel prepared for these challenges thanks to my learning at KIAMS,” he says. Avisek also asserts that his learning at the B School was intense with long hours on a daily basis. But his faculty members made things easier by keeping things relatable. His SIP with Novotel Kolkata also enabled him to get valuable practical exposure that he counts on as he prepares for his corporate sojourn. “My time with KIAMS has been a memorable journey altogether. Even the tight class schedules, late night group studies, presentations were fun and lively for me. I am going to miss the hostel life, time spent on the campus and just hanging out with my friends whenever I want,” he says emotionally. His advice for juniors who might be interested in a job profile like his – “It’s a Financial Analyst profile and if that’s something you are interested in as well then you need to have a strong base in finance and economics. Practical exposure besides academics is also important. But above all be confident and stay true to yourself. You will achieve your goals if you believe in yourself and put in the efforts.” That’s something he himself has done, and is now reaping the benefits for it. Welcome to IIM ……. Welcome to Amritsar!